resumption of the autumn and winter round of purchases. expected to top US$0.4 trillion in five years. 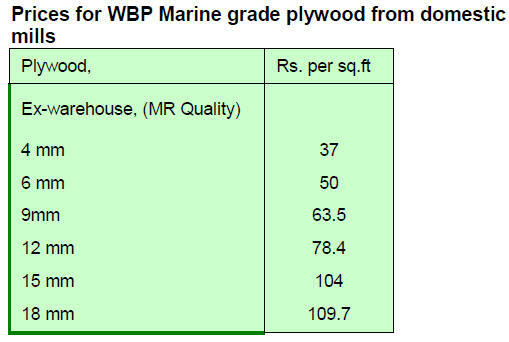 have been no serious attempts by producers to raise prices. being the most active at present. 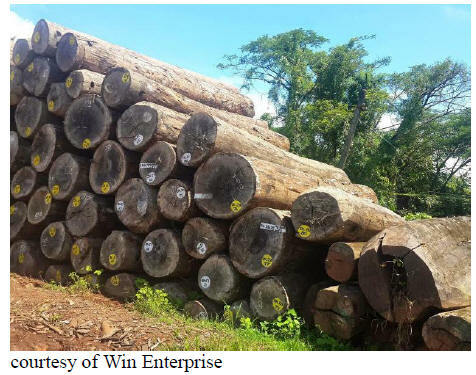 companies will be subject to log export quotas. Congo Brazzaville are expected to increase significantly. always been very price conscious. fill the void left by the log export ban by Myanmar. Asian producers have had success. 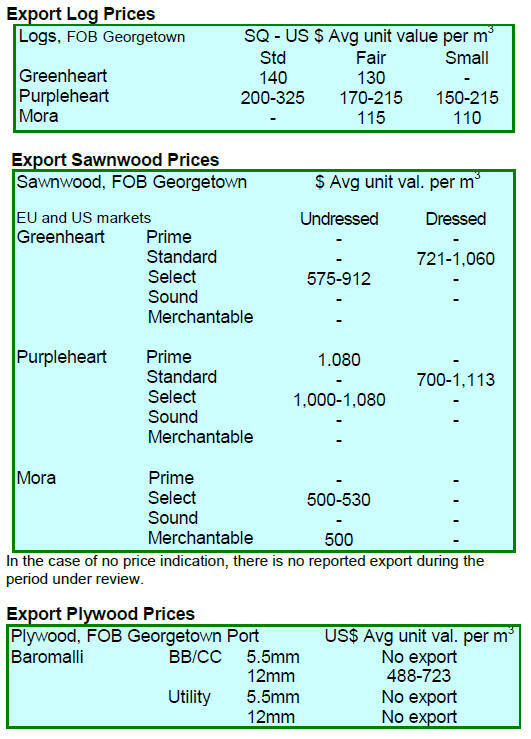 amend the regulation putting a stop to rosewood exports. of rosewood set for export. called for in the concession agreement. expected for small and medium enterprises. for contracts that have already been signed. designs to be centred on wood as the primary material. next year in Kuala Lumpur. the 12 months to 30 June. 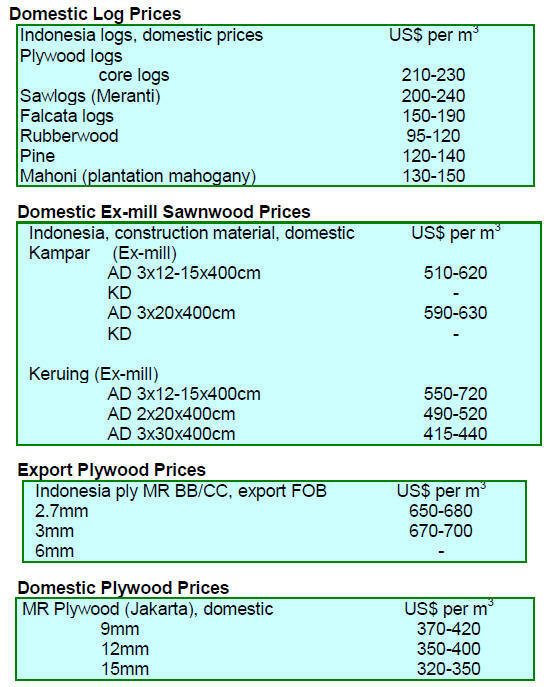 expects to begin implementation in 2015.
that all timber entering Indonesia shall be verified legal. of the materials in the manufactured products. the coming into effect of the new Geo-thermal legislation. meeting of governors from across Sumatra. (6,787 ha) and Nagari Sariak Alahan Tigo (4,300 ha). of the new government when it takes over in October. to concentrate on boosting economic growth. manufacturing sector and the competiveness of exports. 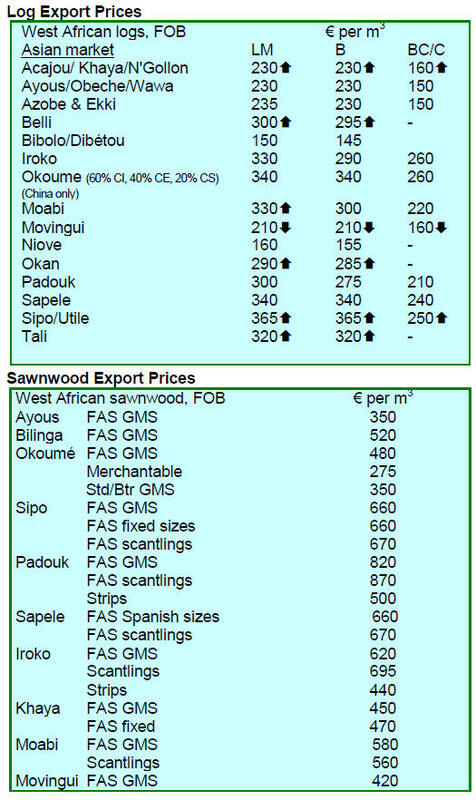 September where about 500 tons of logs will be sold. financial transactions by US companies and individuals. secure and mill the logs. interested in exporting to the EU than the US. advance which is viewed as a major risk by importers. 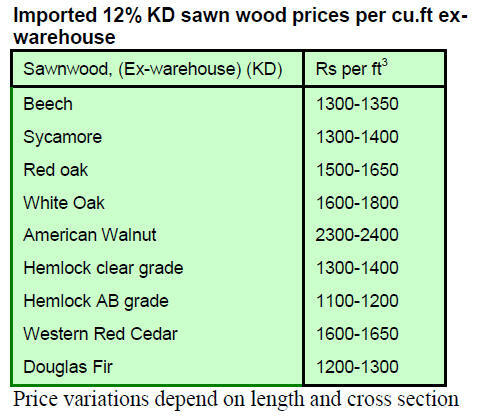 the US market for Myanmar teak and other hardwoods. 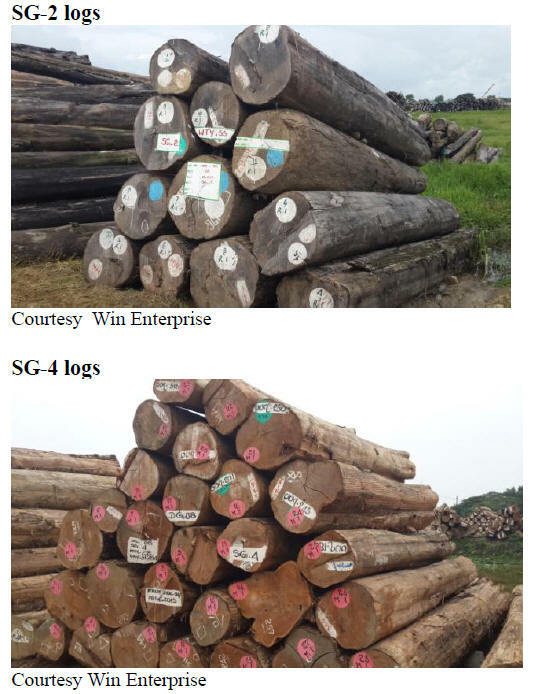 show recently auctioned SG-2 and SG-4 logs. quoted for the construction sector. sanders) in the international market. auctioned to domestic and international buyers. lakh (approx. US$41,000) in international markets. constant battle to protect trees from be felled illegally. by a group of smugglers in Chittoor forests. over Rs.10 billion from the first sale. for sale through an e-auction. in Rayalaseema region and parts of Nellore and Prakasam. sanders takes place in Chittoor and Kadapa. log form by amending the foreign trade policy. 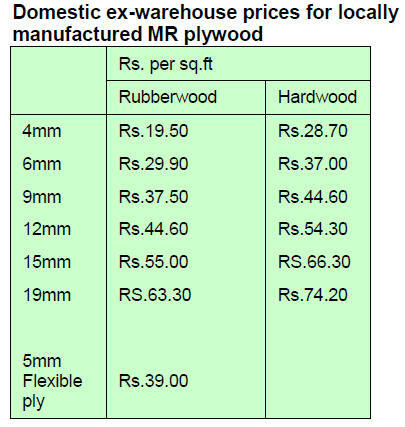 prices ranging from Rs.650-850 per cu.ft. not changed since last month. 7.5% in the second quarter of this year. plywood exports to the US since March this year. 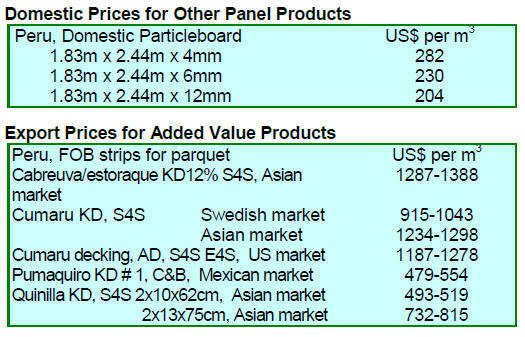 would like to see a rate between R$ 2.70 and R$ 2.80.
being made to expand markets in Egypt and Saudi Arabia. growth of sales in the domestic market is weak. strategies for the domestic and international markets. investors given the complex legal issues involved. Brazil attracted the attention of potential investors. the teak furniture from the state. used to produce a wide range of products. July 2014, an increase of 9.8% year on year. satellite images showing even small deforested areas. states of Mato Grosso and Rondônia. assess the economic resources and services of the forest. forest management and forestry education. 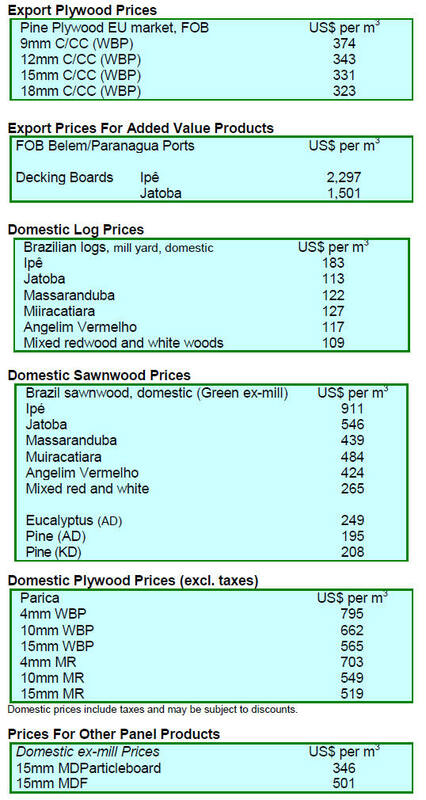 metres in the first half of 2014.
projected increase in forest sector growth for 2014.